If you are anything like my husband and I you are not going to pass up the opportunity to earn extra money at no cost to you. Seem to good to be true? Well in this case, it’s not. Today we are sharing with you a legitimate, easy to use cash back site with you that has paid our family over $3,000 to date! 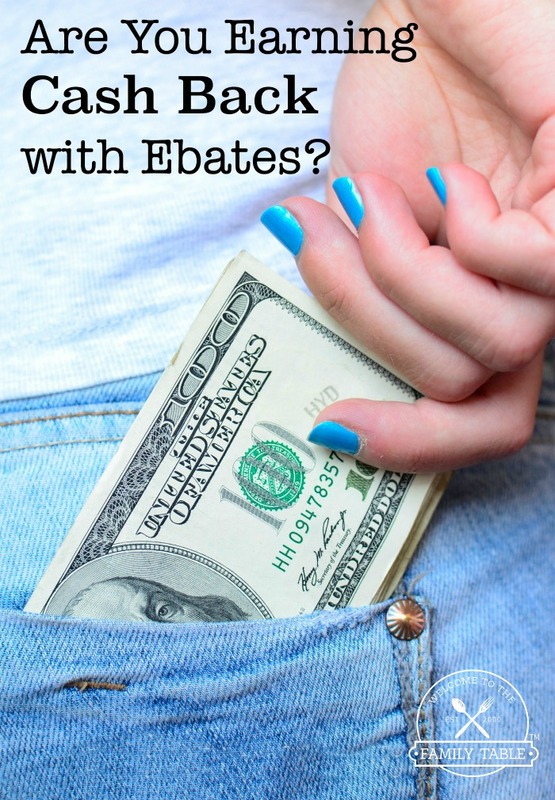 Ebates is an online cash back site that pays you cash back for your online purchases. It’s a very simple, free, and easy service to use. Before going shopping, you head on over to the Ebates, link to the store you are going to shop at, and then they will track your purchase and pay you the percentage shown (up to 40%). We signed up for the popular online cash back shopping site Ebates in the summer of of 2006. Yes, you read that right. We’ve been legitimately earning cash back on my online purchases for over a decade and am so glad that we decided to sign up when we did! Since we joined Ebates we’ve earned $3,393.62! And it keeps climbing! We currently have over $80 in our earnings which will grow between now and the next quarterly payment. Your earning potential is unlimited as you can also be paid for your referrals. Here is a snapshot of our earnings to date as of March 2017. To get a FREE $10 gift card! Yes, it’s true. Once you sign up and use Ebates, they’ll give you a $10 gift card to an awesome place of your choosing. To earn money for your family’s vacation fund. To earn money for a date night fund for you and your love. Because you appreciate earning money on things that you would be buying regardless. To earn extra money for a special purchase you are saving for. To earn extra money for a dinner out or a day at an amusement park. To put some extra money in your pocket for shopping online. I mean, why not? Because if you don’t you are throwing away FREE money. To earn money for Christmas presents year round. Here are more ideas on earning FREE Christmas presents HERE. To donate to charity. Some people don’t need extra money for themselves, so why not give the money to charity? Head over and sign up for this FREE service today!